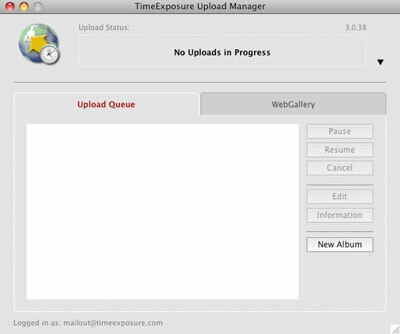 TimeExposure's Upload Manager software makes it easy to get your images onto the Internet with minimum effort and time. 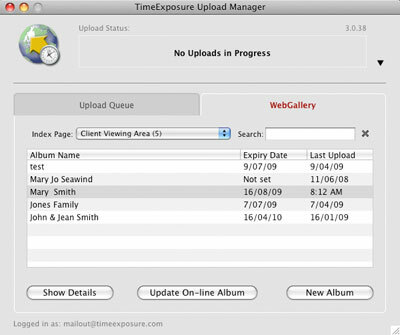 The Upload Manager is a free download from the WebGallery Tools page with versions for both Macintosh and Windows PC systems. If you are uploading images from ProSelect, you will still need to install the Upload Manager, however you can initiate all uploads directly from within ProSelect. 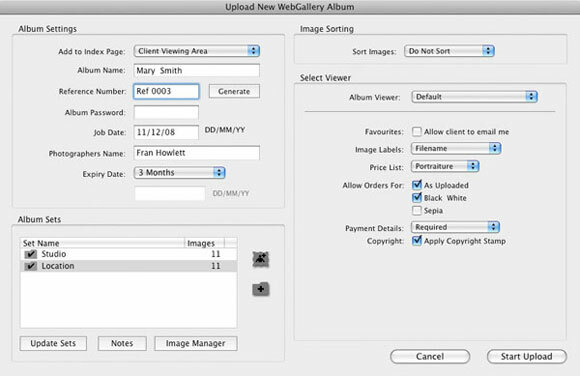 To read more about using WebGallery from ProSelect see this Knowledgebase Article. To upload some images for on-line viewing or sale, click the New Album button and setup the details for your on-line album. If you wish, you can easily divide the album into an unlimited number of sets to make it easier for your clients to find the images they are looking for. You can also add a note to the album as a greeting or for any special instructions. Likewise notes can be added to any set. 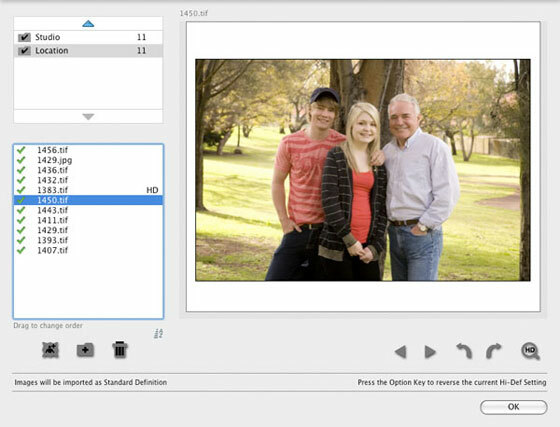 Drag and drop images or folders of images onto each set. They can be .jpg, .tif, .gif or, if you have Quicktime installed, .psd files. The Upload Manager will automatically make correctly re-sized copies of them for the internet. If you need to re-arrange the images, swap them between sets, rotate them or select a few to be uploaded in Hi-Def size (that can be shown with greater on-line, but copyright secure, detail), you can open the Image Manager window. When you are happy that all your images are ready, click the Start Upload button. This will add the Album to the Upload queue and start the upload. While this is uploading, you can be preparing another album for uploading if you wish. The Upload Manager also allows you to quickly inspect the albums that you currently have on-line and make changes such as adding extra images to existing or new sets using the Update On-line Album button.